Music runs in this family. Dirty Word is a fun talented regional bar band. Well, actually a cut above most bar bands because even though their music is mostly covers, they put their own twists to the songs they do, their own arrangements if you will. That tells me the band members are talented. More so, to see the lead singer and his daughter together on the stage tells me the talent is in their DNA. 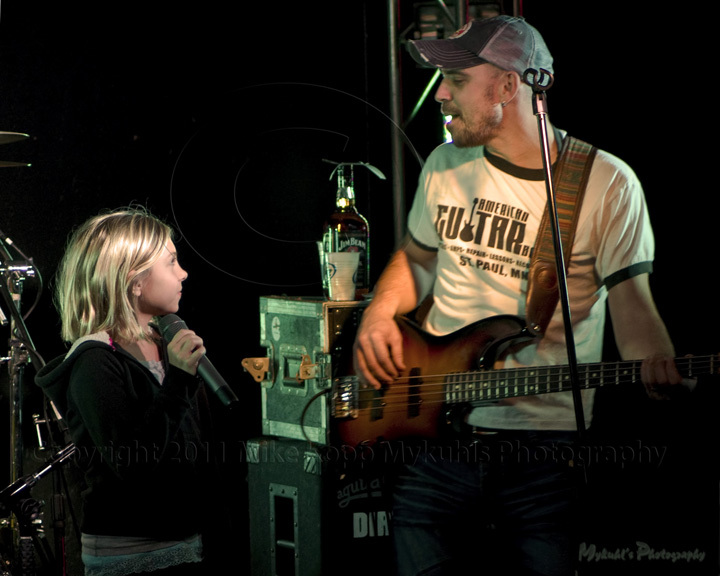 For just a couple songs at Burnt Creek, a dance bar north of Bismarck, dad and daughter entertained the crowd. She not only has talent, but has poise and confidence — enough to stand alone to sing to a building full of respectful and admiring adults. After a couple of songs, off she went, out the back door — I assume to the motel where her mother or other caretaker was waiting. After all, though it was 9 p.m. when she was on stage, it’s still late for a girl of her age. From then on, the crowd danced to and was entertained by the good music of Dirty Word. It’s a Minneapolis band that is too good for little smokey bars and clubs, but probably not good enough to hold the stage at a festival or other music event such as 10K lakes. If you get the chance however, pay the cover charge and check out Dirty Word. I endorse the band on a cold winter night. It will get you out of the cabin, down the trail, in to humanity for an evening. 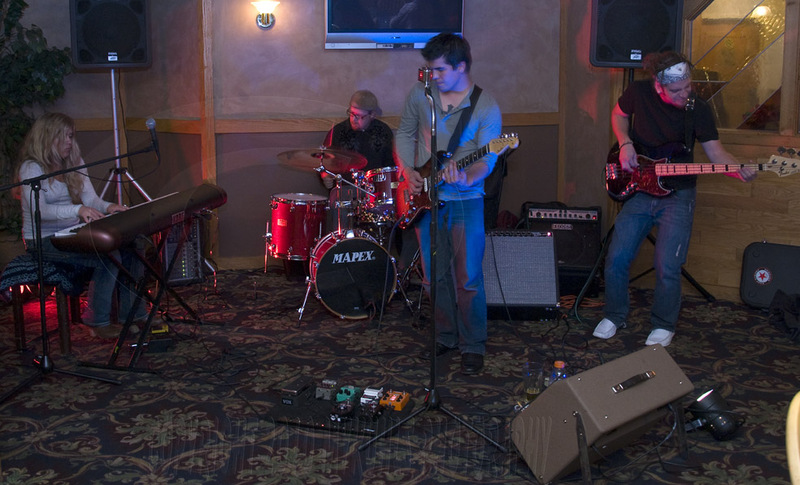 Bands seem to flourish in the winter in Bismarck. Take Midnight Noise Orchestra. These guys have been parts of other bands and they’ve come together for a year or two now, entertaining at local venues, usually free. No cover charge. 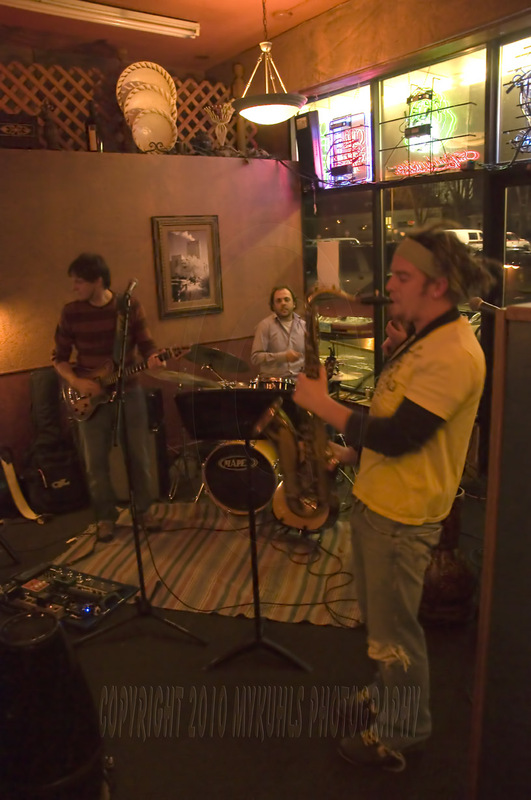 They play at street festivals and other artistic and open venues. They hold your attention and keep you coming back for their own tunes. They’re a little bit of a jam band, folk, reggae, rock, jazz, blues band. Each song does not sound like the next song, the next song, the next song…. They’re original and entertaining. 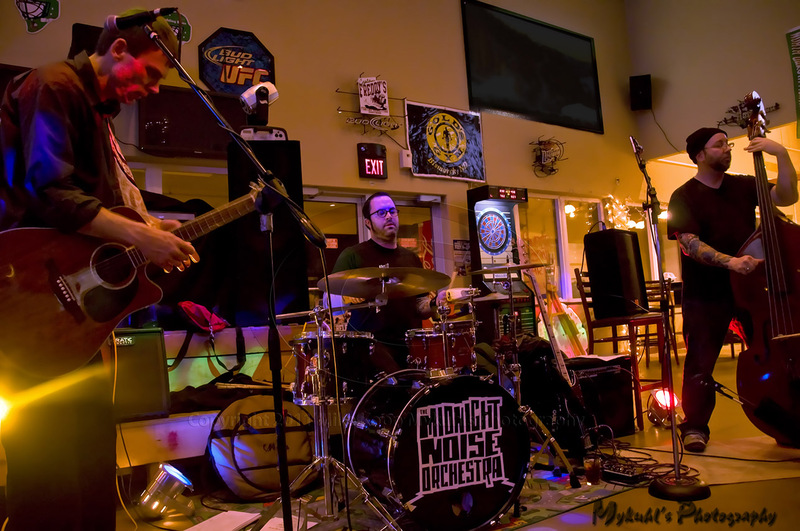 On this night, I caught Midnight Noise Orchestra at Captain Freddie’s in Mandan. The bar caters to a young crowd and the river crowd — even has it’s own dock for Missouri River boaters to stop for a brew. Since there’s not much of a boat crowd in the winter, music brings in the patrons. Midnight Noise does it well. I like shooting bands. 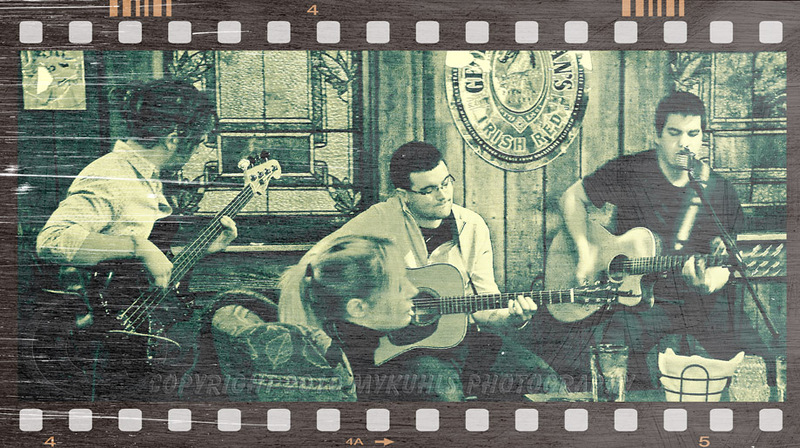 I hope to put together an entire portfolio of my photographs of local musicians. They’re talented, but don’t have much marketing to take them up the ladder of success. I can, however, provide them with a few good shots for their own portfolio. In the mean time, I get stretched as a photographer. It’s not easy working with low light situations — changing colors of the stage lights, and fast moving people. I’ve found that setting my white balance to “auto,” cranking up the ISO to about 1,200 and opening up my aperture as far as it will go allows me to use a slightly faster shutter speed to freeze the players. Not only that, I get to enjoy the good music, connect with band members — and get a break from cabin fever. 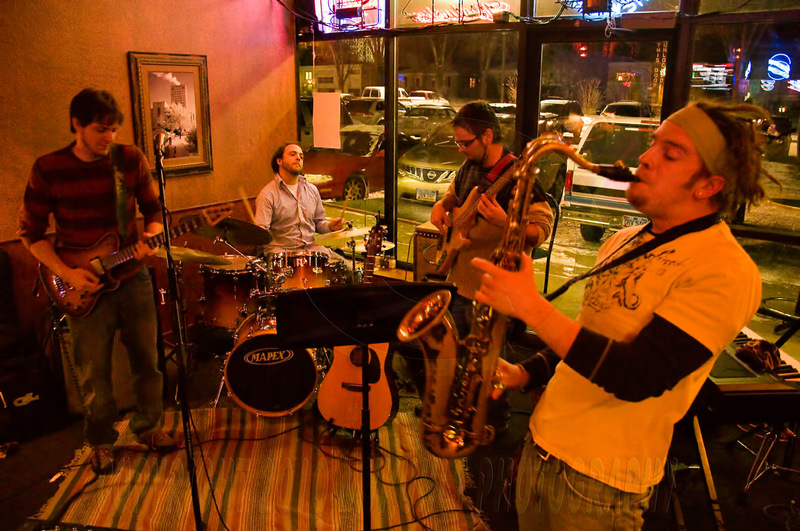 Bismarck-Mandan has an abundance of talented musicians, so cabin fever will have an abundance of opportunity for relief. What about you? Are you more likely to catch a good musical group in the winter or the summer? North Dakota is blessed with rich musical talent. I think it is because there are people in this culture who realize if there’s going to be entertainment here, they have to make it. So, they make entertainment for themselves and for us. For my part, I try to capture not only the moment as it existed, but add to it in a bit of a creative burst of energy, my own interpretation of the moment with processing and framing. That’s the entertainment I make for myself. There are few places for them to perform, but the East 40 Chophouse in Bismarck is one. The lounge with its cozy atmosphere and warm fireplace is a great place to enjoy a respite from winter with good friends such as these. Christmas night I headed back home to Wilton after sharing a Christmas dinner and gifts with a friend in Bismarck. 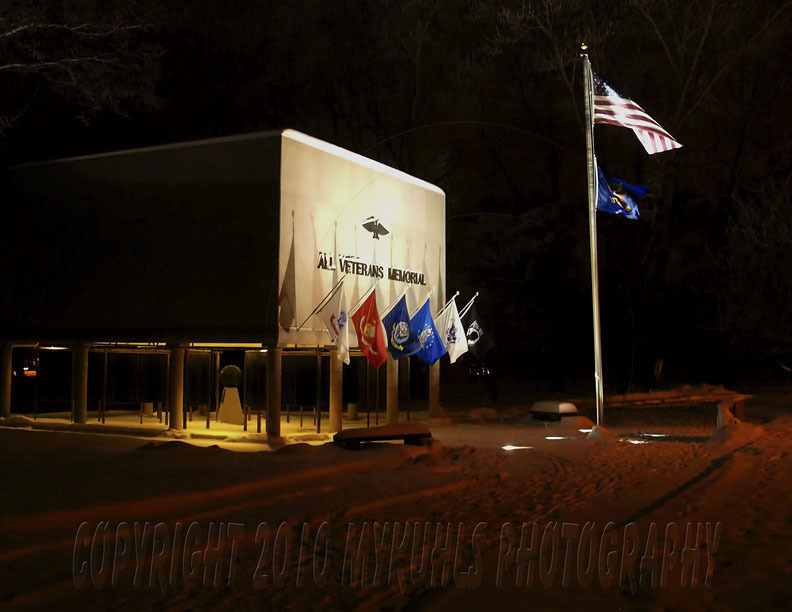 As I drove by the State Capitol I swung in to the building that glowed in the trees — the All Veterans Memorial. It wasn’t planned, it’s not even a tradition, but I felt touched at that moment to give thanks for the gift these men and women have given me — their service, their lives for my freedom, for America. Yes it was cold. I didn’t stay long. I didn’t have my tripod. I used a slow shutter speed and braced the camera on a nearby tree. It seemed to work. When I turned to go back to my truck I saw the moon was rising on this sub-zero night, illuminating the air over the sidewalk lights. Again, bracing my camera, I tried a couple of different shots, slung my camera back over my shoulder and walked to the truck. I am thankful not only for the Gift God has given me, but the blessing of living in a free country where I can walk around the capital complex on a holiday night without thought to my safety and without the hassle of soldiers and guns. America, a gift. Here they come. 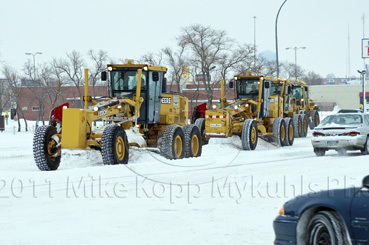 Bismarck’s Street Crew is standing shoulder to shoulder to clear out Highway 83 in Bismarck. 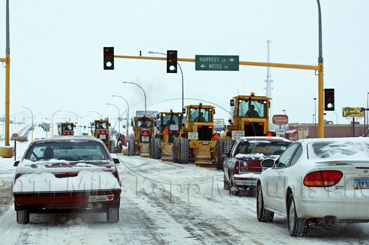 The army of snowplows takes precedence over general traffic to clear a route out of town toward the north. It’s the first leg of clean highway that the state and city keeps open so that power plant and coal mine workers can get to their jobs. I was leaving town to head back to Wilton when I saw the street brigade headed my way. There was no way I was going to get out in front of them because traffic was too heavy. So, I consigned myself to follow them north and take a few photos as I went. As in any city with multi-lane streets and highways, there’s no place to pile the snow should one plow be sent out. So the plows take all the snow from across the lanes and move it off to the ditch. 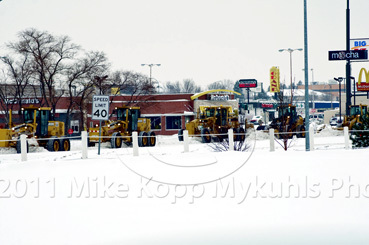 And to do it without causing traffic accidents with the large windrows of snow down the street, the road graders do it in one concerted move. Of course it means a few drivers will be inconvenienced for a few minutes as the plows do their job. But it’s worth it. They leave behind clean and safe streets. How well does your city crews keep open your streets? Good? Bad? Medium? Now that winter has descended, people start looking for things to do, to liven up the long cold days. 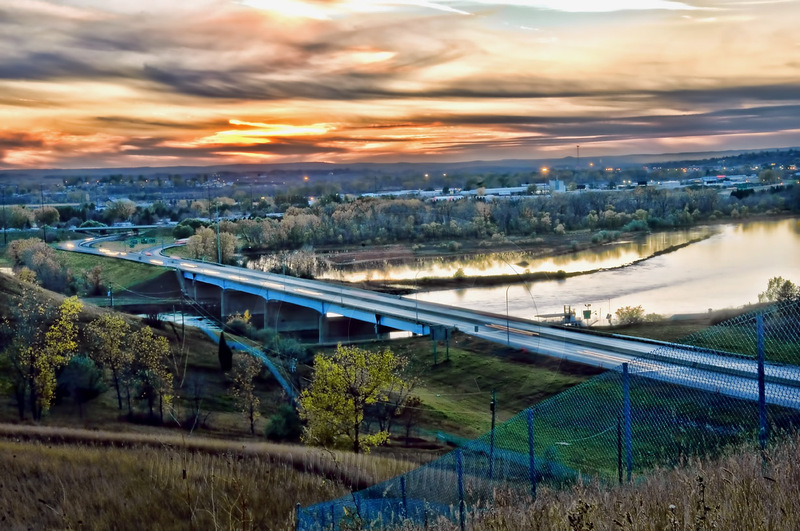 Places such as The Walrus in Bismarck accommodate those looking for life. 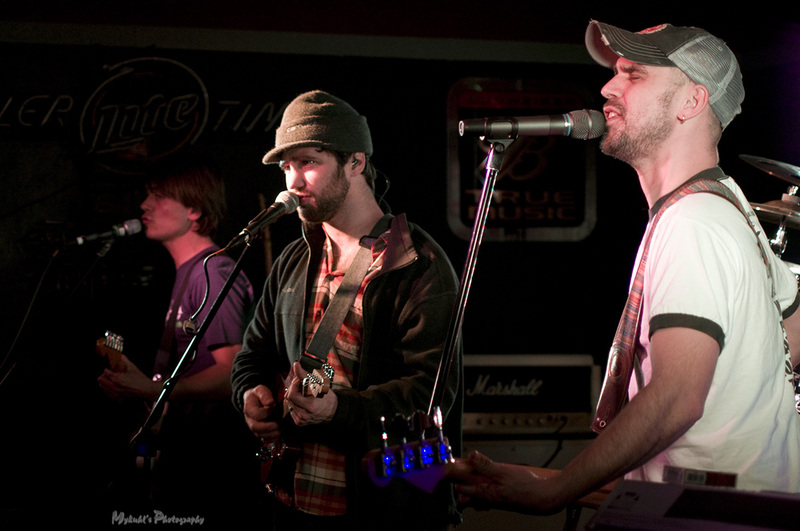 In this case, the Phil McBand band and Weston Shick. Weston is a young man, 25 years old, who stays busy with his talents. 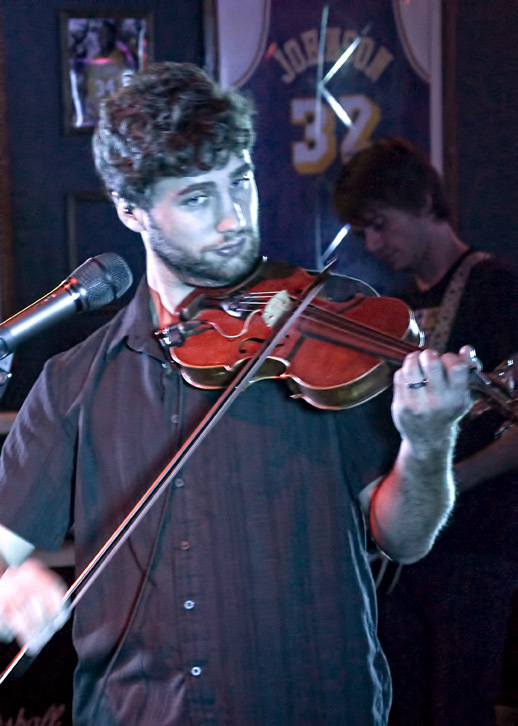 He’s a musician who plays several instruments in different bands in town. In this case, the little narrow eatery, The Walrus sets aside a tiny part of the front for the music. The place fills up quickly when good jam bands, bluegrass, blues or jazz bands are playing. It’s cold outside, but the entertainment is hot inside. When it’s hot outside as in the summer, live music becomes a bit more rare. Do you see an increase in live music options in the winter where you live? 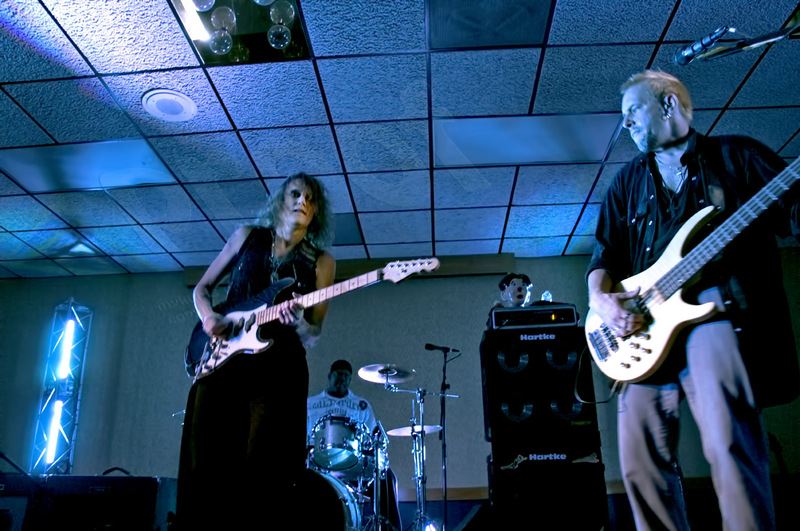 Sue DaBaco and the Wise Fools, a magical blues band, three musicians with wicked licks and hard-driving mojo — the main act on this night. The group followed Charlie Horse and took the crowd in to the deep end of the blues waters of the blues pool. 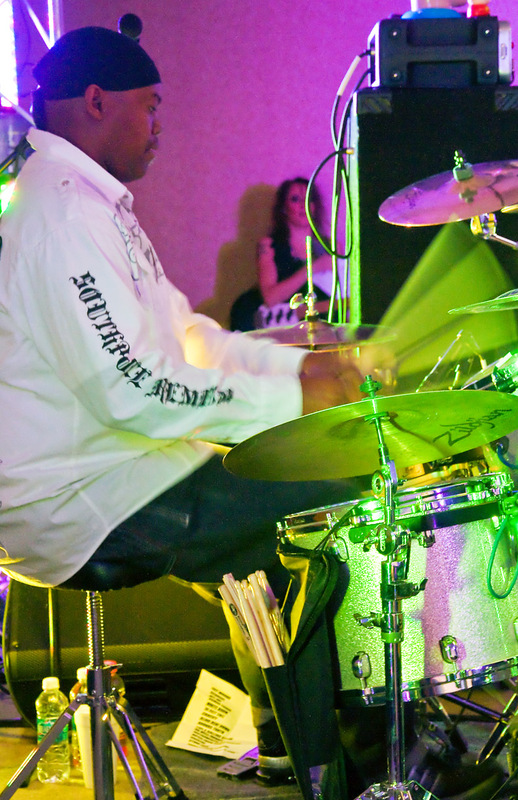 The drummer never quit. He opened the show, alone and never stopped sometimes sliding in to the percussive harmony of others, sometimes taking the spotlight. Never stopping. Never even breaking a sweat as far as I could tell. 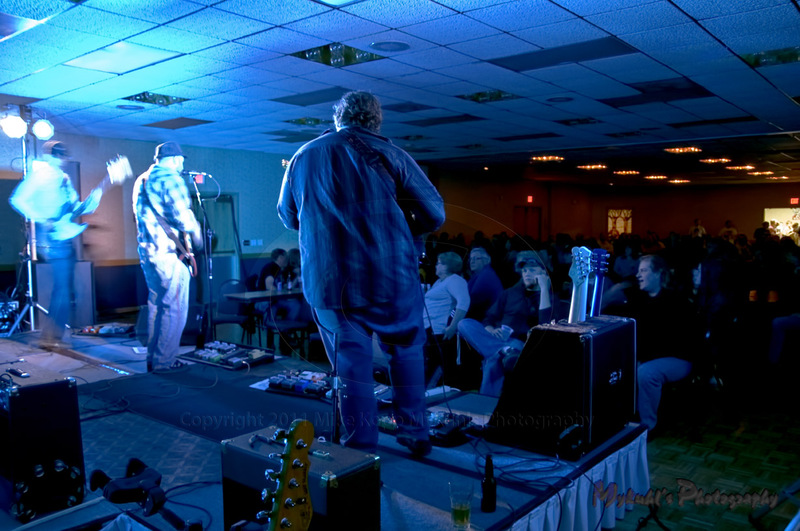 Again, the luxury of up close photography at the Doublewood Inn ballroom, courtesy of Steamer Productions, and I got a taste of how good it would be to do this for a living, for a full-time gig. To get to work AND play at the same time. 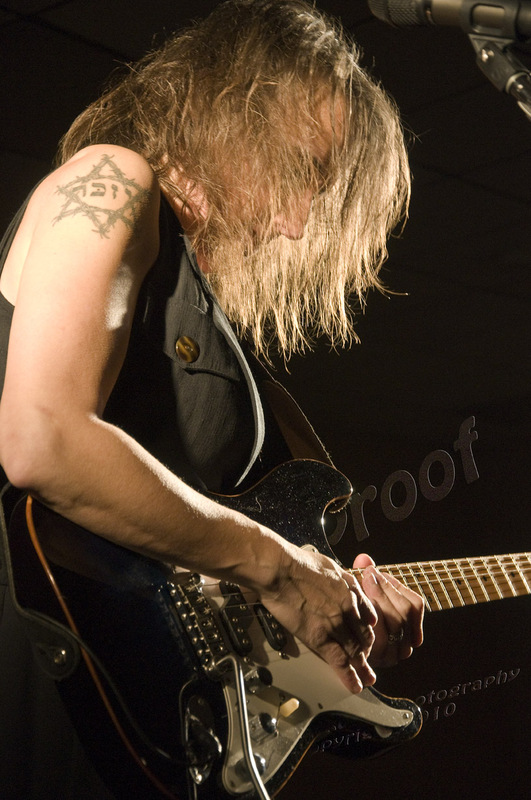 Sue DaBaco is an amazing gutsy blues singer and guitar player. 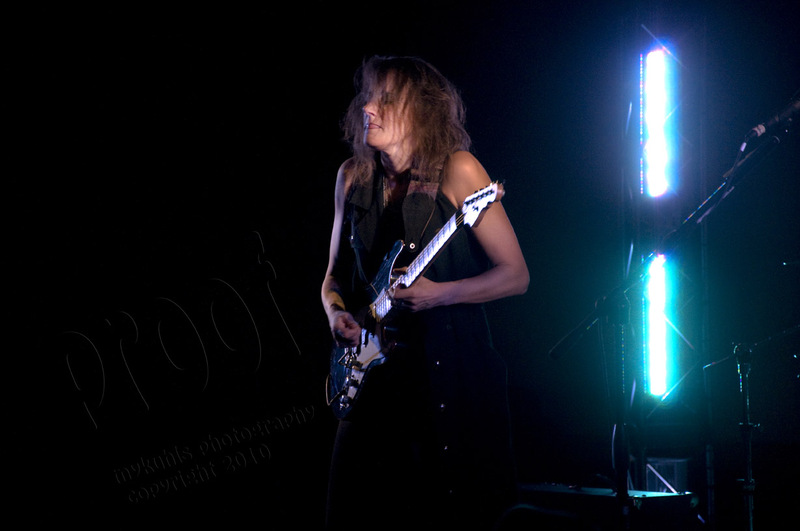 She makes that Fender Strat scream the way it was meant to scream, melodic and precise. Her energy is mesmerizing. She loses herself in her performance, in not only the tune she plays but the words she sings. Frankly, I was almost afraid of her until after the show when I visited with her. She is real. She is friendly and humble. I joy to know. Since then, I have extended the communication (via FaceBook) and have learned she’s a woman with a friendly spirit, quick humor and a deep passion for victims of ethnic and genocidal atrocities such as the Holocaust. She’s one smart woman, pursing higher education in her field of sociology. Her sideman, bassist Scott Walters is a Green Bay Packers Fan — of course since he comes from Wisconsin as does the rest of the band. I mention that because he too is a real human, and not some arrogant untouchable icon on stage. 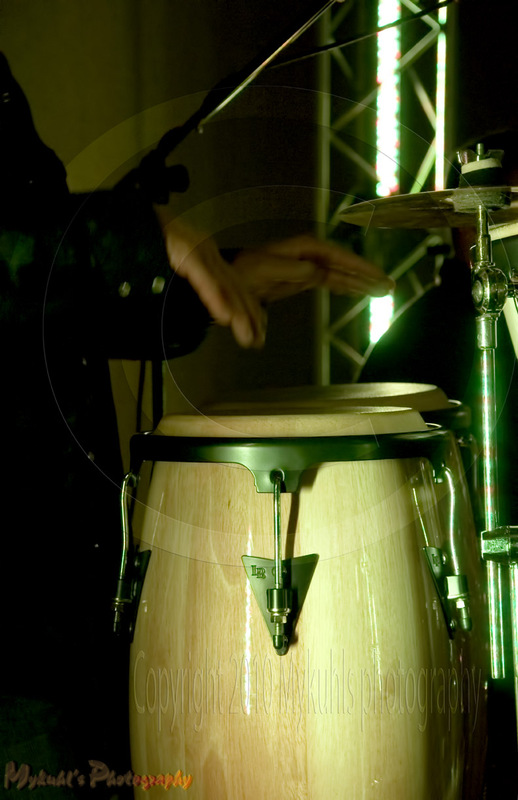 Like the drummer, Scott can shine as a soloist or as a bridge between rhythm and percussion. He’s a fanatic about bass guitar player legends, not only studying them but adding his own technique to the stylings he has picked up from others. On this night, North Dakota was treated to the sound that biker bars, blues clubs and other venues in Milwaukee and other populated midwestern cities get to hear more regularly. For my taste, we out here in North Dakota don’t get enough exposure to such music. I’m fortunate to be able to capture the sight. Now, to get the sound, that’s up top you. 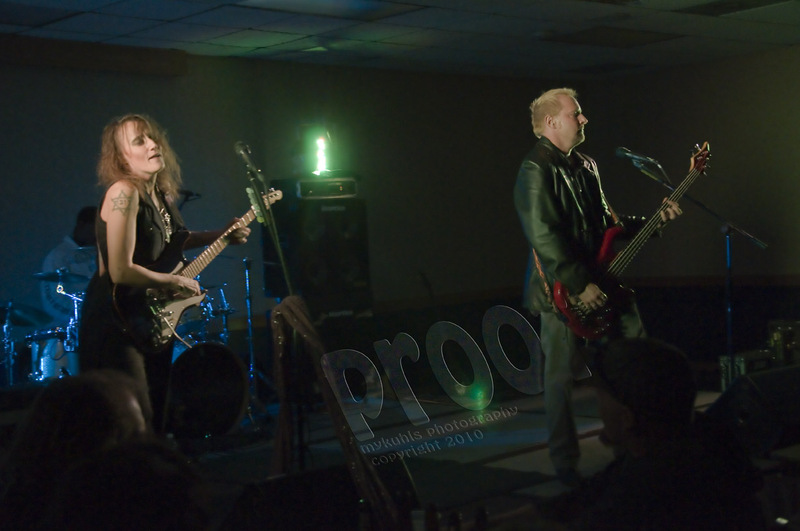 Two bands, back to back — a frequent occurrence anywhere but in Bismarck. Here, you’re lucky to get one band playing one time in one venue. 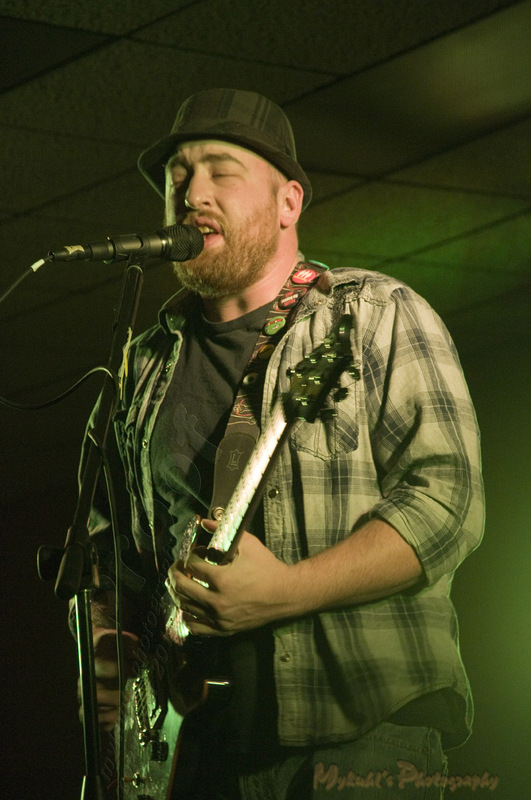 But thanks to Steamer Productions, Charlie Horse, a local blues band opened the night at the Doublewood Ballroom. I’m generally pretty amazed by the local talent, people who have day jobs but come out at night to show their artistic creative side — a side that remains hidden during the day as print shop printers, mechanics, cooks and teachers. Charlie Horse is one of those hidden talents. I like shooting bands like this. They’re very appreciative of the attention and the respond with a general friendliness. After all, if you’re not one of their family or friends, you probably know someone who is. It’s a small world. As a fledgling musician photographer, I like the freedom I’m afforded to get up close, get behind and get down in front of the band to get the photos I like. None of which I’m allowed to do with big-name acts. But who knows, just like they have a day job, so do I. Just like they’d like to make it full-time in the music circuit, so would I be able to make it full-time shooting musical acts. I guess that’s on my (gut) bucket list. October 28 Can you say Dirty Word? 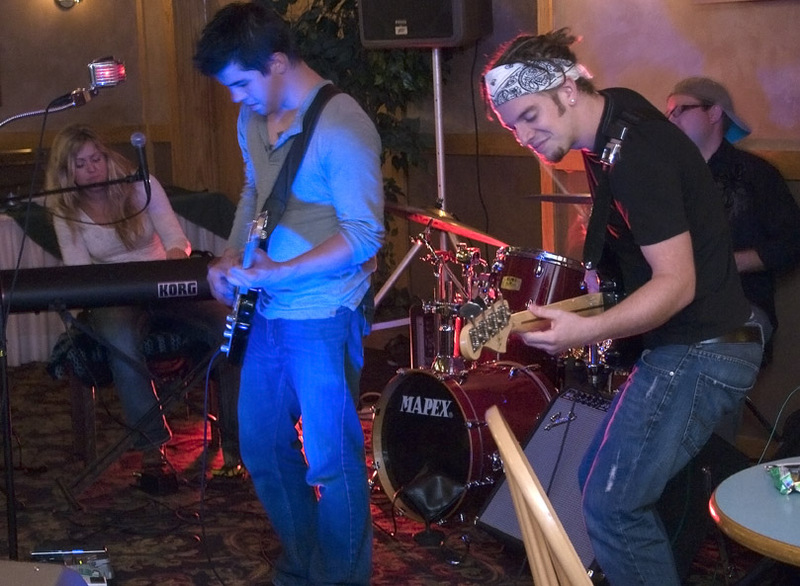 Autumn brings indoor entertainment back to North Dakota, and that includes live music such as Dirty Word. The Maple Grove, Minnesota band is popular in the upper-Midwest. The talented musicians put their own flavor on the cover tunes they dish out. 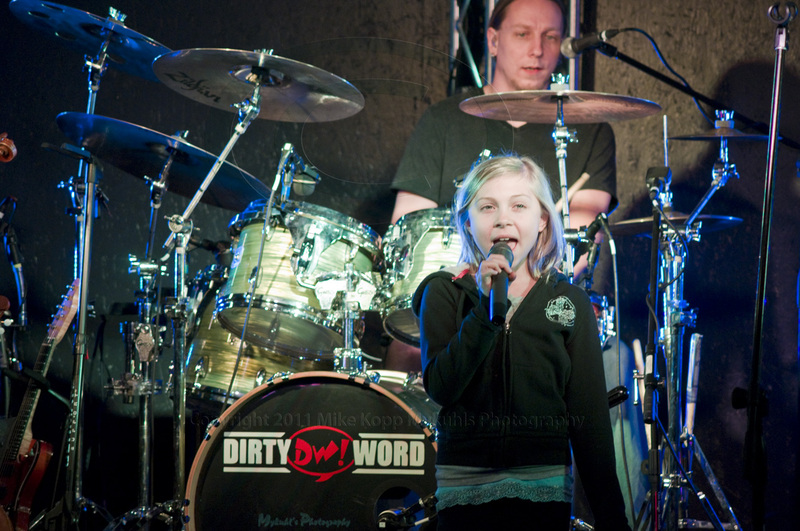 Dirty Word is not your average bar band, drunk and loud. Their musical background has been adapted to the popular stage where the audience can listen or dance to the rockin’ fiddle playing, the precise percussion or the gutsy vocals. 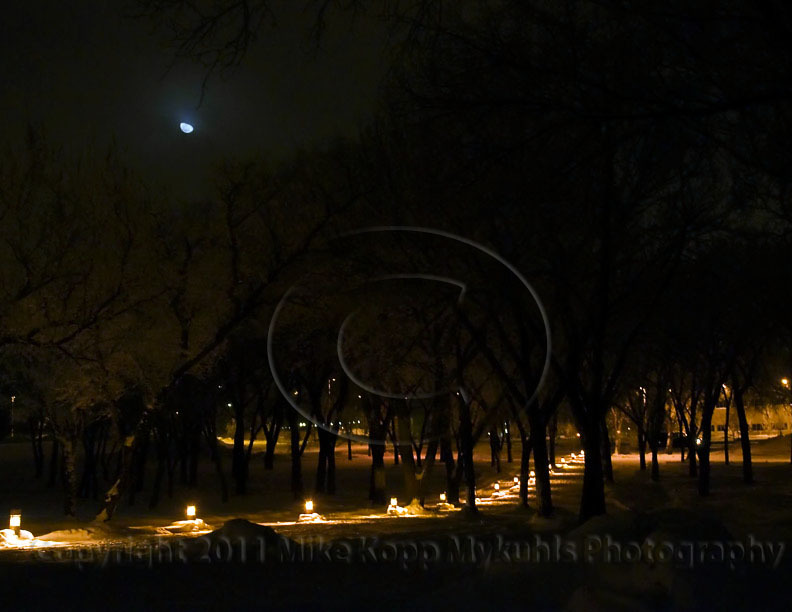 Winter in North Dakota doesn’t lend itself to much travel or outdoor activity. So, just as theater-goers will develop their entertainment calendar to the performances of the local community theater, music lovers develop their winter calendar to local musical offerings such as Dirty Word. For me as a photographer, I like shooting bands. It’s a huge challenge. Generally the shutter speed and aperature must be set for the low light of the environment which can just as easily be switched up by some sharp light changes on stage. So, when one band member shows up blue, and another yellow, and the drummer sits in the dark, a band photographer can be challenged to get a good even image. 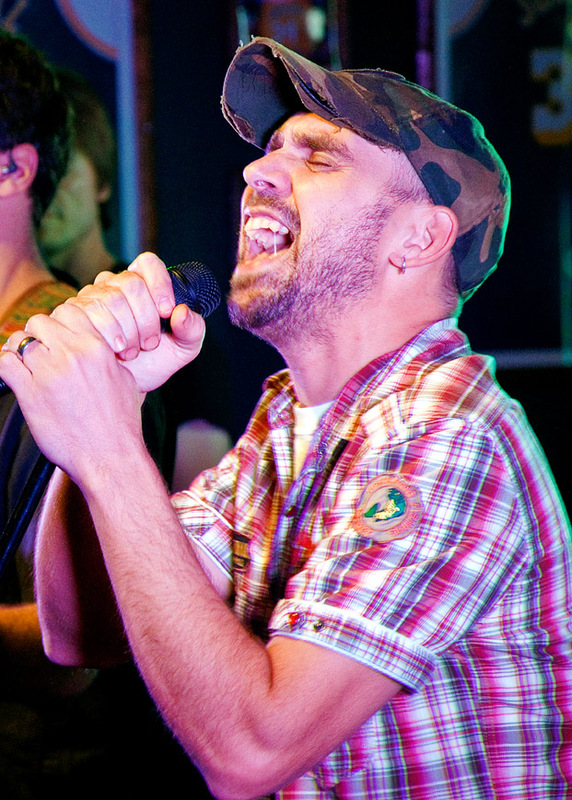 When a band such as Dirty Word comes to town (in this case Bismarck’s Stadium Bar) I try to catch them for both the entertainment value in an otherwise shut-in winter season, but also for the experience of capturing expressive emotion of the musicians while keeping on top of the changing light. There. That’s better. The week’s dreary, grey, lifeless sunsets were disappointing this week, but on this night, the clouds and the sun worked together to give a good backdrop to the landscape. I was on the hilltop overlooking I-94 to shoot traffic and the bridge for one of my contracts, but the imagery of the cityscape took precedence. I was surprised how the camera picked up the blue of the galvanized chain link fence. The Interstate is blue, the bridge, and support structures are blue. They add a chill to the contrast of the warm sunset. The river provides a good dividing line with its soft peach tones. If you look closely to the north (right) you can make out the lights just starting to glow at North Dakota’s only oil refinery. All in all, a good moment to capture forever. Have you noticed how colors change, such as the galvanized fence, when the sun is filtered through the cloudsd? 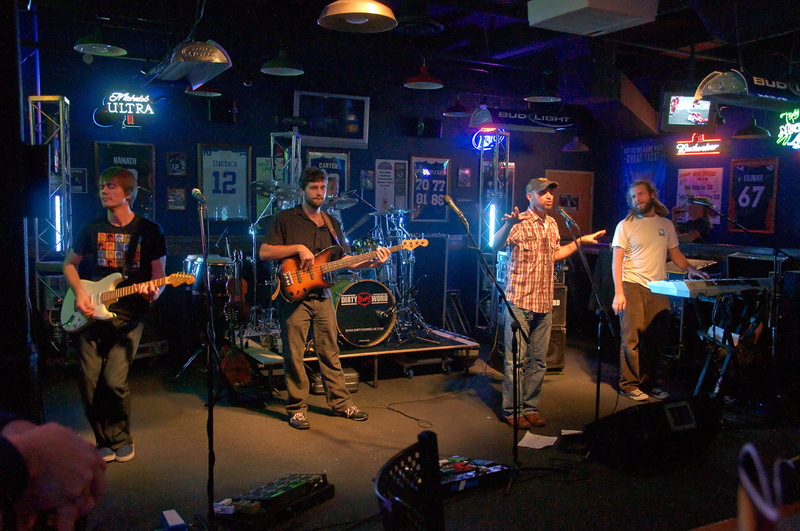 Four extremely talented local musicians get together for good rockin’ blues. Each play on their own, in their own bands or with others. Sarah McMahon, Adam Halverson, Arnold Jordan and Weston Shick get together to play as Black Cat Rumble. Bismarck doesn’t seem to have the venue for such outstanding musicians to perform, so they get together when they can, where they can such as here at in the corner of the lounge at a local motel. I don’t know if there’s no market for such music or if there’s no venue. Either way ya gotta catch this talent when you can, where you can. I was fortunate enough to catch them here, and in conversation with another member of the audience shared the same thoughts. Except he’s a promoter and invited me to shoot some upcoming acts he has coming to town. What good karma! I look forward to developing this line of photography.